Creagan House Bed and Breakfast - Strathyre Perthshire. We have five bedrooms. 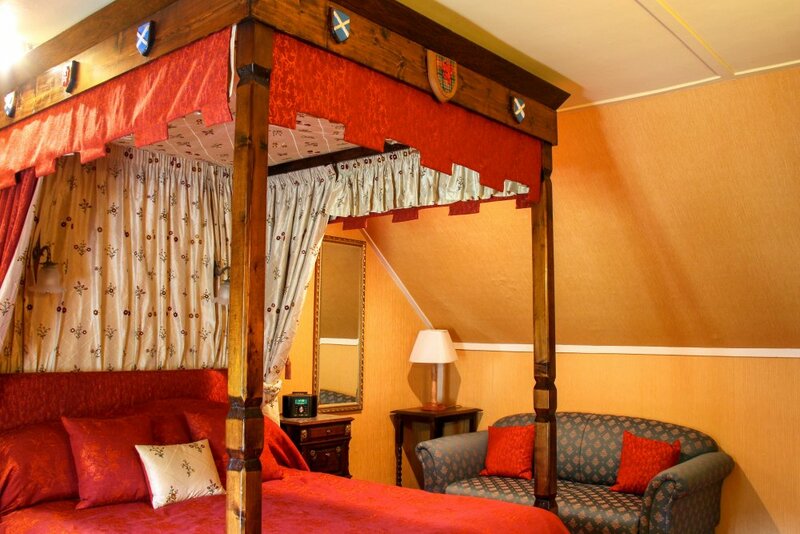 One king size room with ensuite bath and shower.One four-poster double bedroom with en-suite bath and shower.Two double bedded rooms with en-suite bath and shower. All located on the first floor. One ground floor twin bedded room with en-suite shower. This room is ideal for the less mobile. All our rooms are furnished with antiques, fine quality fabrics and beautiful wall coverings. 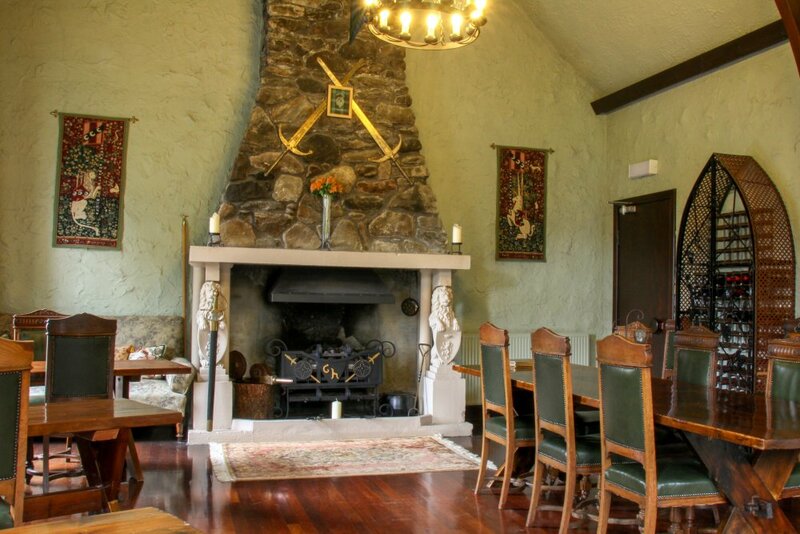 The dining room, with its vaulted ceiling and massive open fireplace, is a focal point and a worthy setting for the superb Scottish breakfasts on offer.You'll find the lounge is the perfect place to relax and enjoy working your way through the extensive list of malts from the bar. Breakfast is served in the dining room. In an evening, there are several places to eat within easy walking or a short driving distance. Andy and Kerry will be happy to make recommendations and book tables on your behalf - simply contact them before your arrival to discuss the options that are available to you. Wherever possible, we use locally sourced products for our breakfasts. All our meats are produced and supplied by award winning butcher David Comrie & Sons of Comrie. Other award winning products include Kenmore Oatcakes and locally made natural yoghurt from Katy Rodgers in Fintry. 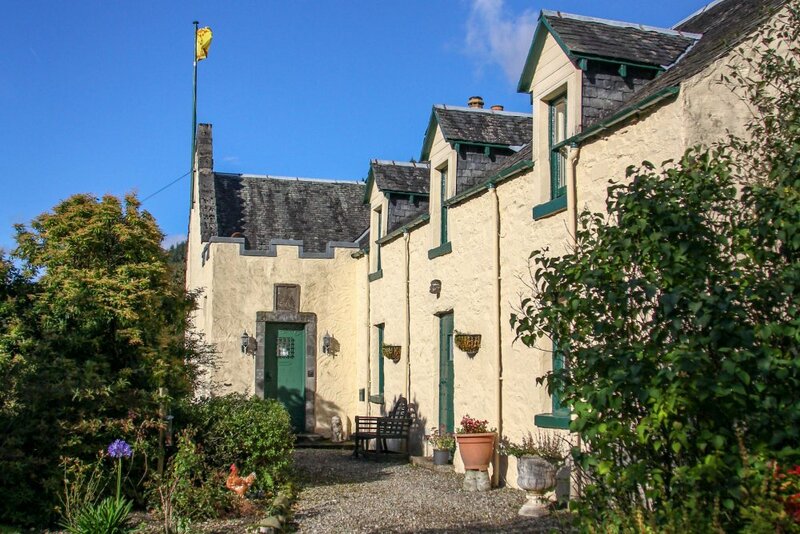 Situated in the heart of Rob Roy country, Creagan House is ideally located for walking, cycling and sightseeing. With direct access to Strathyre Forest, you're only minutes away from the beauty of woodland, waterfalls and wildlife. You can cycle along the traffic-free NCN7, or walk the Rob Roy Way.